Step 1. 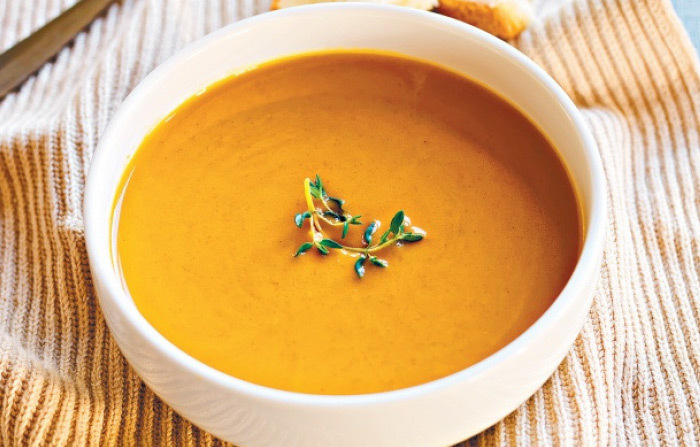 Place pumpkin, potatoes, onion, curry powder and stock in a large slow cooker. Season with salt and pepper. Cook for several hours or until vegetables are tender. Step 2. Turn off the heat and allow to cool. Using a food processor or stick blender, process until smooth. Step 3. Stir through the cream. Warm the soup through again, season to taste and serve.